SignatureCare Emergency Center’s Bellaire area emergency room is throwing a party in celebration of the Chinese New Year, and you are invited. 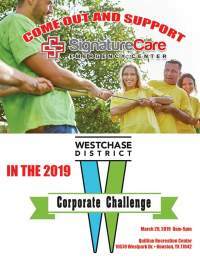 On February 16, from 2:00-6:00 PM, the staff in our Bellaire area ER will be ushering in a 2019 filled with love, peace, prosperity and wealth. The Pig is the twelfth of twelve zodiac animals, and it is said that their chubby faces and big ears are a sign of fortune. 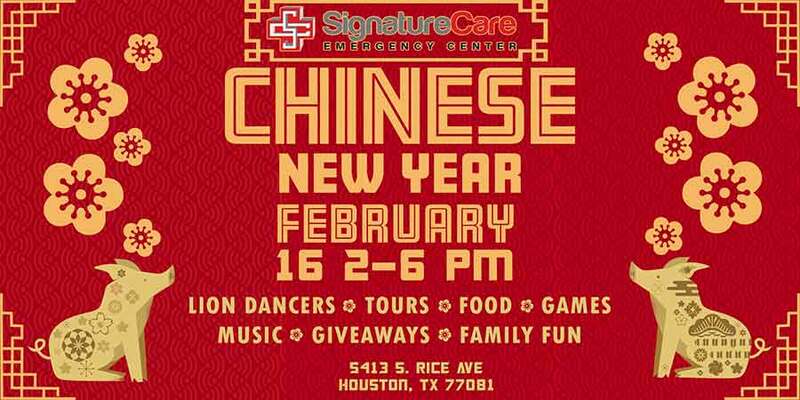 Join us for free food and drinks, lion dances, games, music, giveaways, and a tour of the facility. Our very own Lion Dancers will be performing to bring us all luck and prosperity during the Year of the Pig. You and your family will also have the opportunity to meet and greet your local ER doctors, nurses and support staff. They are eager to welcome you. 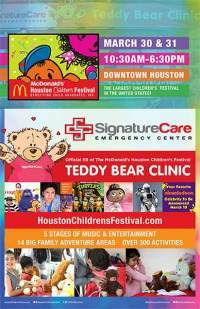 SignatureCare Emergency Center’s Bellaire ER is located at 5413 S Rice Ave., Houston, TX 77081. You can reach them 24 hours at 713-669-9900.